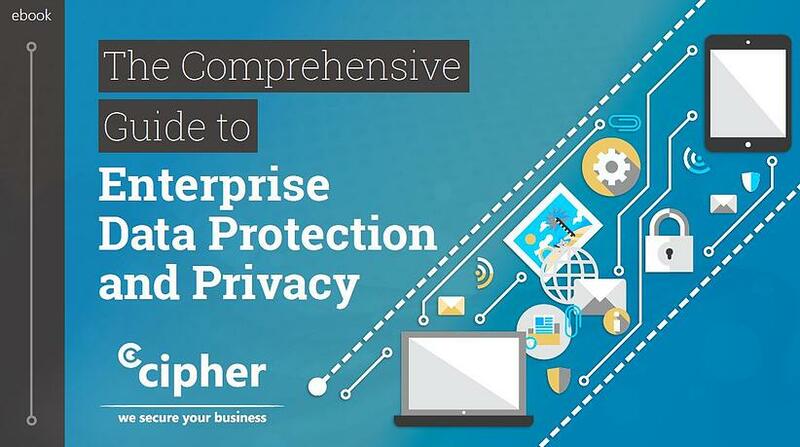 CIPHER's Guide to Enterprise Data Protection and Privacy comes packed with over 20+ pages of helpful data privacy and protection best practices. The guide has been developed by our our team of global security and privacy experts. Learn more about CIPHER's GDPR Services! Absolutely. CIPHER shares free knowledge with the hope that you'll find the content useful. Keep us in mind next time you have any information security questions! Founded in 2000, Cipher is a global cybersecurity company that delivers a wide range of services: Managed Security Services (MSS), Managed Detection and Response (MDR), Cyber Intelligence Services (CIS), Red Team Services (RTS), Governance, Risk and Compliance (GRC) and Cybersecurity Technology Integration (CTI). These services are supported by the Cipher Lab, an elite threat and cyber intelligence research and development lab, and also by five 24x7 Security Operations Centers (SOC). Cipher is a highly accredited company holding ISO 27001, ISO 22301, ISO 20000, ISO 9001, SOC I, SOC II, PCI QSA, PCI ASV and CREST certifications. The quality of service has led Cipher to win many awards from world-renowned research companies such as Gartner, Frost & Sullivan and Forrester. Clients consist of companies from mid-size enterprises to world-renowned corporations and government agencies, with countless success stories.